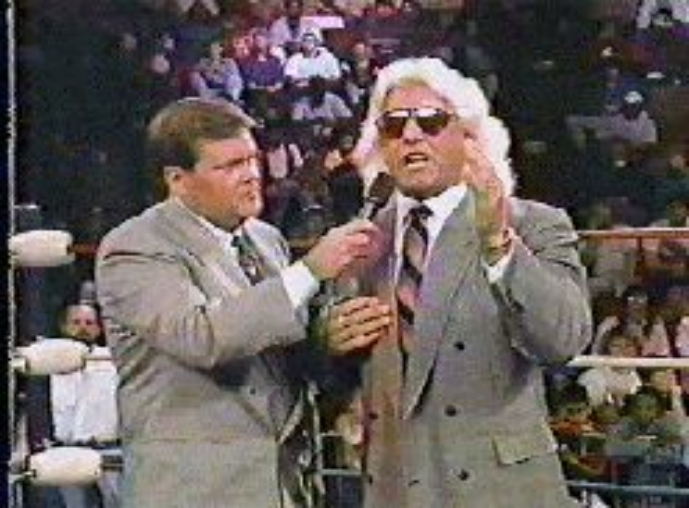 Part 15: The Funk Challange and the Horsemen Reborn - Early in 1989, Ric Flair was striving to regain his World Championship from Ricky Steamboat. 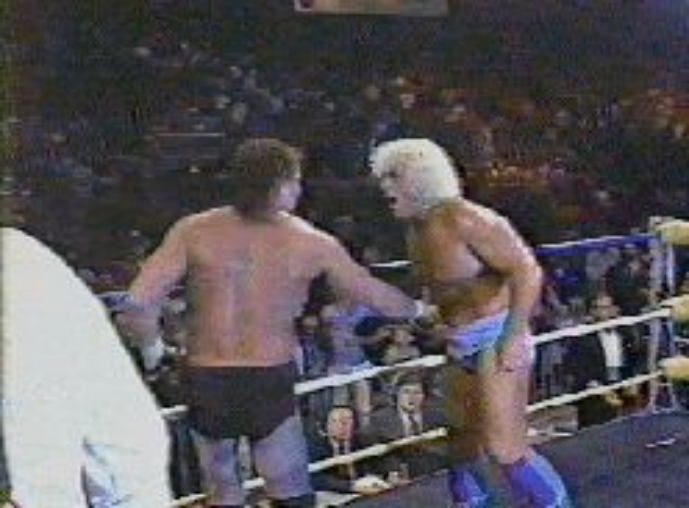 In a series of matches they gained a lot of respect for each other, and along the way Flair rose in the estimation of the fans. 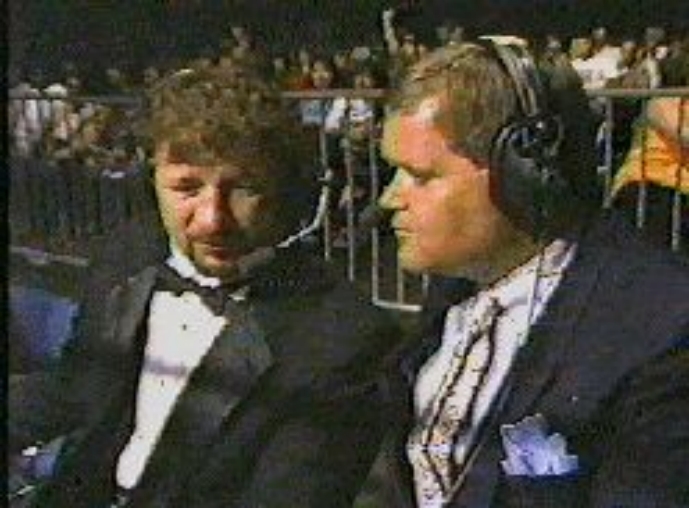 Their rivalry ended during the WrestleWar card at which Terry Funk shared the broadcast position with Jim Ross. 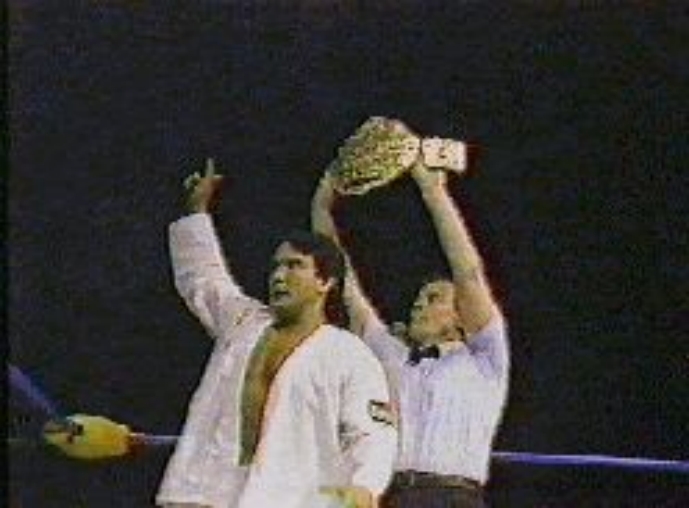 After Flair won the match Funk entered the ring, obstensively to congratulate he new Champion but he ended up issuing a challange. When Flair tried to brush him off, Funk blindsided him and then piledrove him onto a ringside table! This put Flair on the shelf for a while, but when he came back he challanged Funk to an "I Quit" match with the stipulation that Funk would shake his hand and say Flair was the better man if he lost. Funk fought a grueling match but eventually succombed to the figure four. 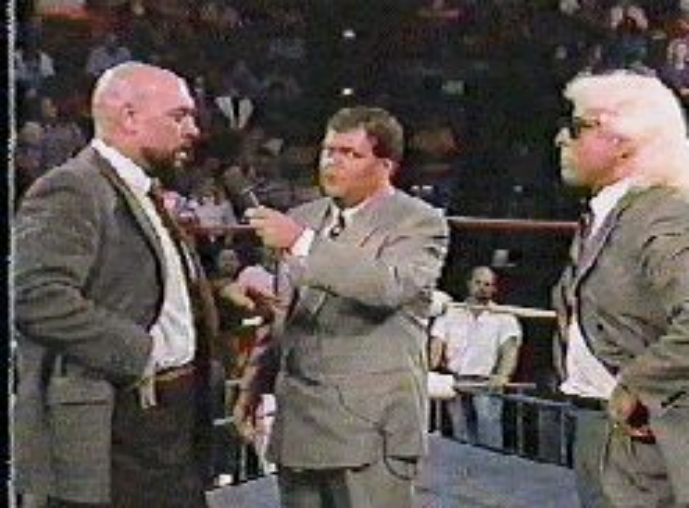 Funk's manager, Gary Hart, had a fit when Funk honored his promise. He signalled the rest of his stable, the Great Muta, the late Buzz Sawyer and another Oriental thug to attack Funk. Flair sprang to Funk's aid and when the gang turned on him, Sting came in to help Flair. Next Lex Lugar entered the frey. Flair, Funk and Sting were left laying. In the weeks to come Flair would have a monumental feud with the Great Muta, but most of the matches ended when Hart's gang would run-in. 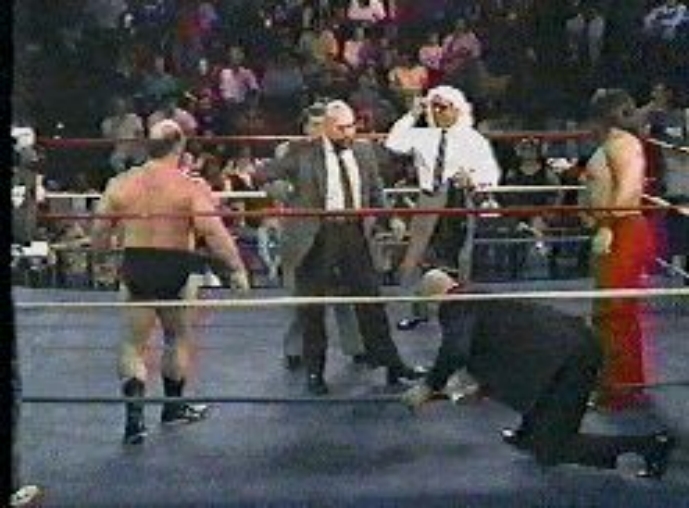 Flair decided to do something about it and during subsequent program invited Hart to the ring for a surprise. Hart entered the ring and announced that he had his own "surprise", then signalled his goons yet again. Flair seemed unconcerned as the gang surrounded him. 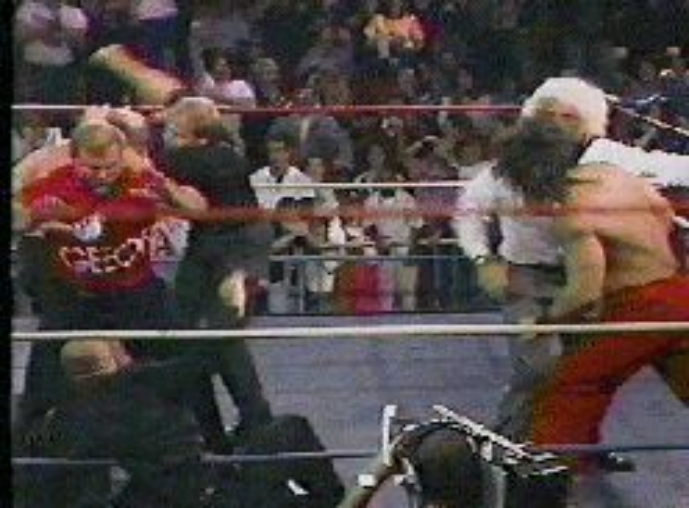 The reason for his composure became obvious as a melee erupted and Ole and Arn Anderson hit the ring! 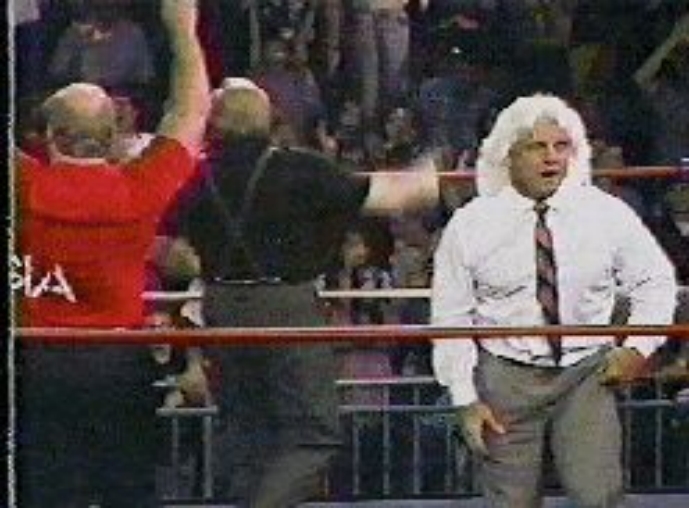 The Andersons and Flair cleaned house and the Horsemen were reborn! !